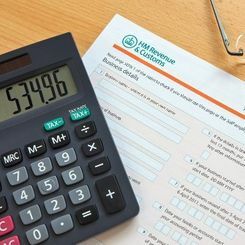 Helping individuals and businesses to succeed, our team of specialists are on hand to provide unbeatable taxation services. We offer the support that you know you can rely on. Concentrate on successfully managing your company by choosing our reliable experts to take care of your accounts. Providing an assortment of accountancy services, we're here to help you. 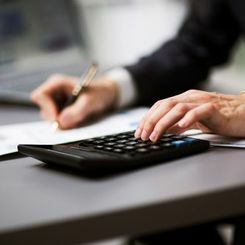 Contact our reputable accountancy firm today, in Woking, Surrey, to receive our unrivalled tax advice. Anthony J Faccini, in Woking, Surrey, is an accountancy firm specialising in small to medium-sized business accounts and personal affairs. Working with clients across London and Surrey, we provide annual accounts and taxation services for the self-employed, local businesses, and individuals. As well as providing tax advice, we can undertake the independent examination of charity accounts. Accounts and tax are the heart of your business and that's why we believe in giving you a service that is easy to understand. We won't baffle you with jargon or complicated terms, ensuring that you understand your accounts as well as we do. As a team of specialists, we offer friendly help and advice for every aspect of your business. Renowned for our reliability, professionalism, and personal services, we strive to provide a fast turnaround of accounts. Having established ourselves in 1988, we are members of the Federation of Small Businesses. We offer flexible hours with home or work visits available.